He was born in Belgrade and studied cinema in Prague with Srdjan Karanovic, Goran Markovic and Emir Kusturica for example; they were pioneers of the Yugoslav new wave and were called Ecole de Prague. He first made docuentaries and directed about fourty short films. He then made Cuvar Plaze u Zimskom Periodu. 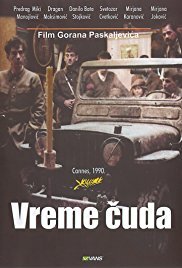 He directed 8 feature films such as Andjeo cuver and Vreme Cuda shown in Cannes.